Why publish your class activities in CourseSource? Katie is a science writer at GSA. She did her PhD work on the evolutionary consequences of genetic conflict in fruit flies at the University of Georgia. Eastern Diamondback Rattlesnake. Photo by Sven Weber via Wikimedia. Used under CC BY-SA 3.0 license. They rattle as warning, but during the hunt their strike is silent and sudden. Any rabbit or mouse targeted by a rattlesnake is doomed—the snake’s bite carries a paralyzing venom. The toxins in this venom are proteins encoded by a large gene family that arose by gene duplication. In the July issue of GENETICS, Margres et al. tackle two models of how gene family expansion gets started by analyzing individual variation in a rattlesnake toxin gene family. They find that the most important factor in gene family growth via duplication was selection pressure to increase protein expression level. Gene families are groups of similar genes born through duplication and are extremely common in eukaryote genomes. The different genes in a family often have sequence changes that allow them to carry out distinct functions, but additional gene copies also mean a higher overall expression level. Theoretically, both of these consequences of gene family expansion can be adaptive, but it’s unclear which is more important during the initial stages of gene family evolution. To clarify this question, Margres et al. use the rattlesnake gene family that encodes myotoxin, a component of venom. Venom is a useful model because the connection between protein expression and phenotype is clear: the more protein is expressed, the more potent the effect. And importantly, there is still variation in the size of the myotoxin gene family among rattlesnakes. 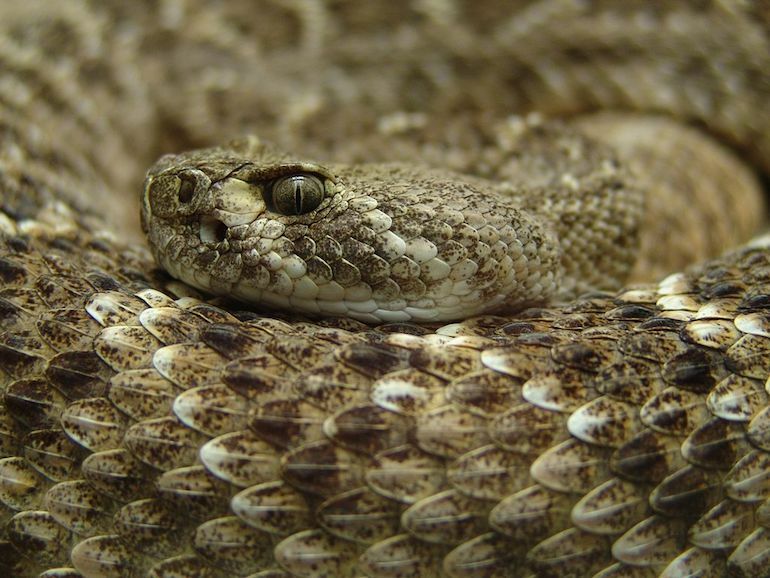 For this study, the authors collected venom and blood samples from over a hundred live-caught, wild rattlesnakes from across the Southeastern US. The number of myotoxin gene copies in these snakes ranged from zero to nearly 50, with a corresponding increase in myotoxin protein expression in venom. However, only four individuals carried gene copies with a nucleotide polymorphism within the key exons, indicating that the duplicate copies are essentially identical. Clearly, these carbon-copy myotoxin genes aren’t carrying out different functions. The direct relationship between venom protein level and the number of myotoxin gene copies shows that the expansion of this gene family is likely driven by selection for increased expression and thus stronger venom. Animals as diverse as platypuses and cone snails use venom for hunting and defense. This study not only shows how this fascinating and frightening adaptation evolves, but it also provides a glimpse of the forces that can trigger a gene to start down the road of expansion—and ultimately—diversification.